Fleetwood Mac News: UK Interview: Mick Fleetwood on Magic 105.4 Magic Breakfast Friday AM TUNE IN! 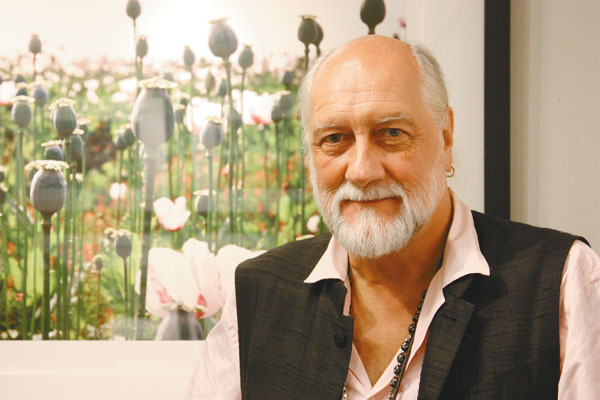 UK Interview: Mick Fleetwood on Magic 105.4 Magic Breakfast Friday AM TUNE IN! 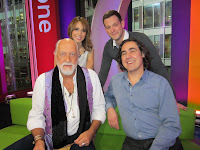 Mick Fleetwood is on a UK Media Blitz next week. With the 'Rumours' re-issue being released on Monday in the UK - Micks headed over to support the release with a round of interviews and press. So far he'll be appearing on one TV program and one radio program, there will likely be more. Rumour has it he'll also be picking up and old friend to bring back to Hawaii for a visit. The host is joined by Mick Fleetwood, the drummer and co-founder of Fleetwood Mac, and Great British Bake Off judge Paul Hollywood for another edition of the programme featuring music and chat. The brand new series of the world's most popular car show continues with an epic road trip across the western side of the United States in three front-engined supercars. With Jeremy Clarkson in a Lexus LFA, Richard Hammond driving the new Dodge Viper and James May choosing the latest Aston Martin Vanquish a glorious soundtrack is guaranteed, as are furious arguments about which is best as the trio head from Las Vegas to Los Angeles and on to Palm Springs. Along the way, the three presenters take in racing circuits, airborne attacks and a race against the police before making a break for the Mexican border with a terrifying penalty for the last car to make it. 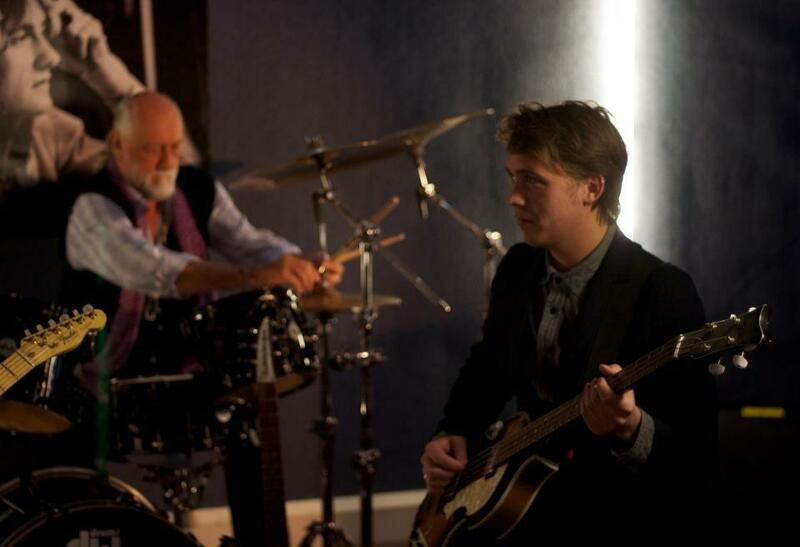 Meanwhile, back in the studio, legendary Fleetwood Mac drummer Mick Fleetwood is the star in the Reasonably Priced Car. Be sure to catch these interviews... Hopefully Mick will give listeners more details on Fleetwood Mac in the UK and maybe Europe as well... Plus a more definite timetable. 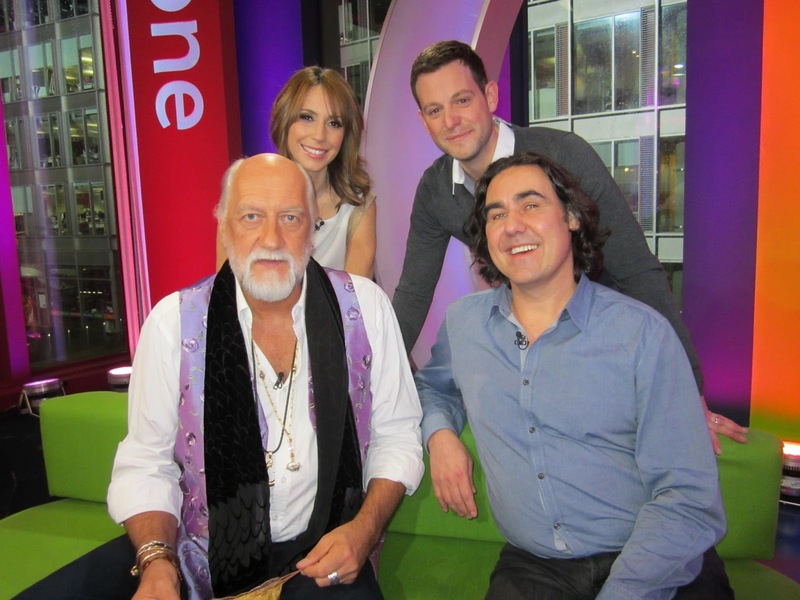 Jo Whiley sits in for Steve Wright in the afternoon on BBC Two, Mick Fleetwood joins Jo along with gardener Monty Don. Re-listen the program on the BBC iplayer here. Micks bit starts about 36 minutes in.